**Obsolete** Replaced by Mister-Mini Model. 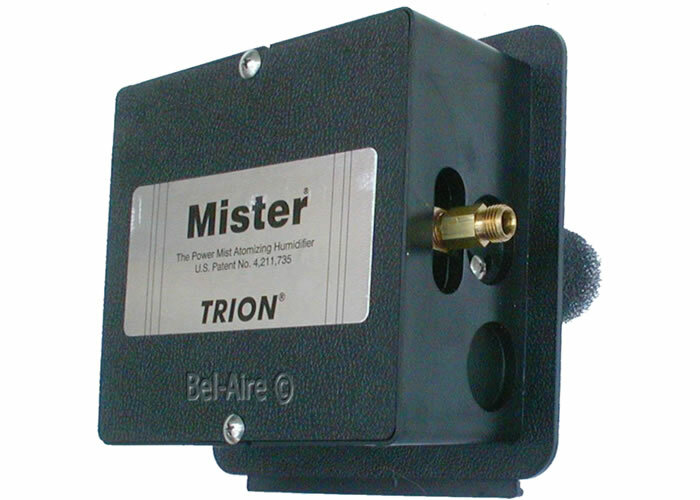 Trion Herrmidifier rated 0.75 gallons per hour. Built-in thermostat turns on the humidifier when temperature in the warm air duct reaches proper setting. Wall or cold air return mounted humidistat included. 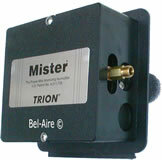 Electrical: 24v 6w. Filtered water is required to prevent nozzle clogging. Note hard water will cause lime deposits to build up affecting the spray and the nozzle will requiring cleaning.